Although you are unlikely (despite what the papers say) to be attacked with a sword on the way home from the bar, the defence of one’s life against an immediate and possibly terminal threat is the context in which historical swordplay makes sense. Therefore we train as if we were preparing for serious combat with sharp swords, be it self-defence or a voluntary duel. At the School of the Sword you will learn the fundamental principles that underpin all sword arts and the core actions of many different weapon forms. 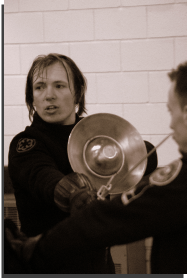 Training begins with the sword and buckler (a small shield) and then students progress to the rapier and dagger. 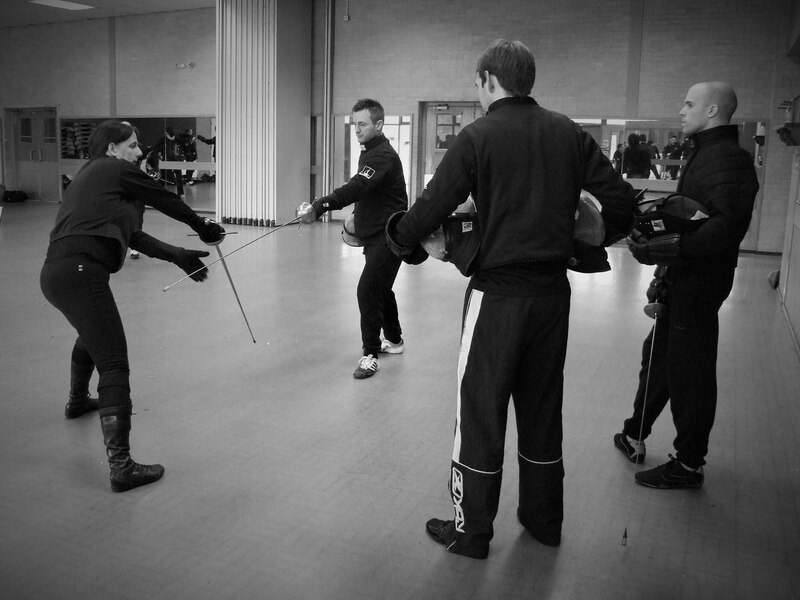 Having grasped the fundamental actions for swordplay, students refine their technique and develop the finesse of the single sword. Other weapons studied are built on same foundations as you will learn in your first few lessons. The weapons taught include sword and rotella (a large shield), sword and cloak (used in areas where the dagger was illegal), two swords, the spadone (a two-handed great sword) and a variety of empty hand and dagger styles. Students are encouraged to work on areas that interest them and may contribute to the ongoing research of the School into renaissance swordplay. Follow the links for a full list of equipment, weapons studied and the rank structure within the School.